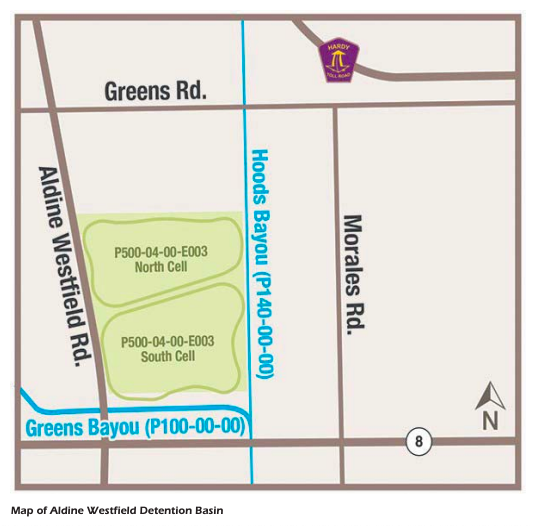 The East Aldine District joined Harris County Flood Control District (HCFCD) in presenting the Aldine Westfield Detention Basin project to the Greenbriar Townhomes HOA last month. The community was informed about the timeline and general parameters of the project which is set to begin by late April 2019, and last for approximately a year. 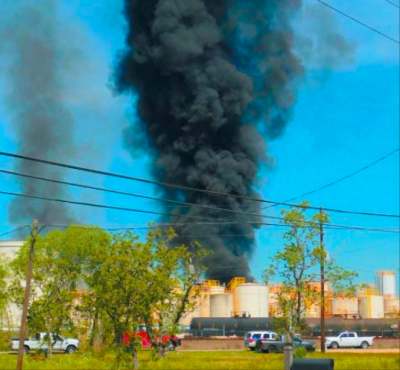 The members of the Greenbriar Colony community, which is adjacent to the detention basin (across Aldine Westfield), were asked to stay in touch with both the East Aldine District and HCFCD for any updates on this and any other projects. Construction bids were due in February 2019 for this project to construct a stormwater detention basin on a 113-acre site on Greens Bayou near the Sam Houston Tollway and Aldine Westfield Road in north central Harris County. On December 19, 2017, Harris County Commissioners Court approved a $543,000 agreement with IDCUS Inc. for design, bidding and construction phase engineering services in connection with this project. According to a conceptual engineering report completed in 2017 – and in keeping with its location just south of Bush Intercontinental Airport – the basin will be designed without a permanent pool so as not to attract waterfowl. South and north cells will be constructed in two phases – the south cell first – to allow for necessary environmental permitting. Eventually, the two basin cells will be connected by a 48-inch pipe and will outfall into Greens Bayou. Portions of the basin — formally identified as HCFCD Unit P500-04-00 — have been partially excavated via an earlier excavation and removal agreement. A preliminary goal is to design the basin to hold approximately 1,250 acre-feet, or more than 407.3 million gallons, of stormwater that otherwise might flood homes and businesses during heavy rain events. The benefits of this project are best understood as part of a suite of projects – Progress Greens – that will work together to reduce flooding risks within the 213 square miles of the Greens Bayou watershed. The Engineer’s estimate of construction cost for this project is $8,400,000.00.